Before you go on a job interview, one of the most important things you can do is to prepare for the interview by thoroughly researching the company. This will prepare you to both answer questions from the interviewer, and prepare intelligent and insightful questions of your own. Interviewers want to see that you have taken the initiative to understand their company. Understanding exactly what businesses the company operates , new initiatives, and their competitors will also help you to understand the company culture ad if you see yourself as a good fit. Type in the companies name in Google news and read any press releases the company has put out. Are you interviewing with a Low Income Housing Tax Credit Syndicator? Read to see if they have closed any new funds recently or what types of projects the company has recently closed. The companies website will be one of the best sources of information and should be reviewed from top to bottom. Take a look at the previous successes of the company, what markets they operate in and the mission statement to get a good feel for both the companies past and potential future. If the company has a section detailing management review the bio and history of senior executives that may be part of your interview. 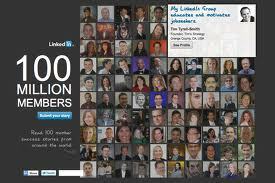 The popularity of Linked in makes it likely senior management will have profiles detailing their history in the industry. Try to see if you have any connections in common. If you have a connection than contact that person and get as much information as possible or see if they can put in a good word on your behalf. By taking the time to prepare for the interview and really understanding the company and its management you will provide yourself with the most important tool for a successful interview, which is confidence. Albert Aizman is the Principal of the nations premier affordable housing jobs site.